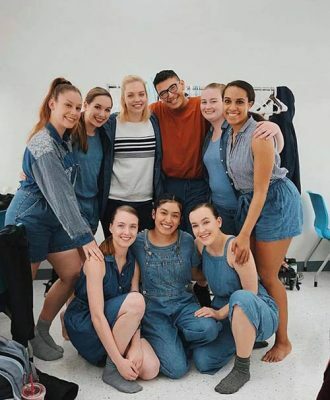 There are few dance departments that can say that they’ve had a piece successfully entered into the American College Dance Association’s (ACDA) West Region gala every year, and even fewer that can say that the work they showcased was 100 percent student choreographed. It is an achievement that showcases the pure artistic talent that is housed within Grand Canyon University’s dance program. 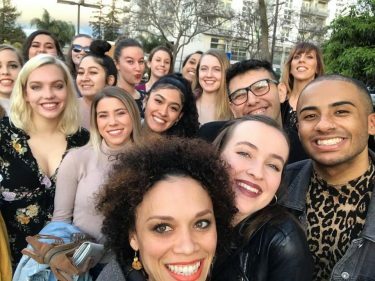 Members of GCU’s Dance Department traveled to San Jose State University to participate in the ACDA Conference. 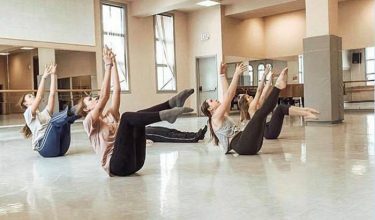 ACDA West is a four-day dance conference in which colleges bring choreography to be adjudicated by world-renowned artists. Students perform their work at the concerts each night, and adjudicators select certain pieces to be showcased in a gala on the final night of the conference. 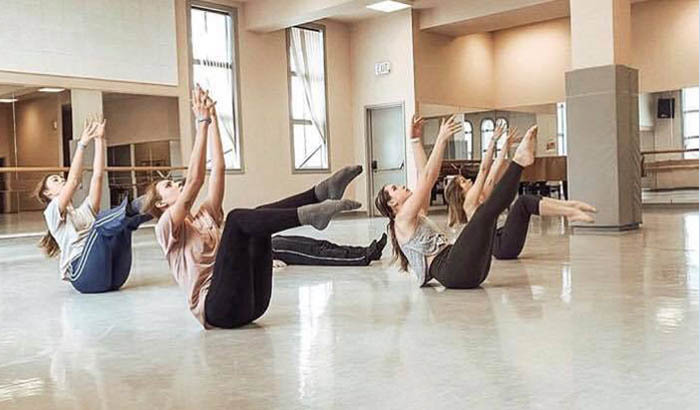 For this year’s ACDA West Region conference, students from the Dance Department traveled to San Jose State University to showcase three pieces selected by the faculty from the past year. Two were picked for the formal concert, and one was chosen for an informal concert. Senior Madison Knutson, whose piece “The Sun Will Rise, and We Will Too” was to be a part of the Gala concert had no idea that her piece would be selected. Only three pieces of student choreography were selected along with seven pieces choreographed by faculty. “I was actually in class (one of the classes at the conference) with a bunch of my GCU dance friends,” Knutson said. “We were learning this choreography and I have a friend who gets his notifications on his Apple watch, and so he got the notification that my piece got into the gala and he told me during class. 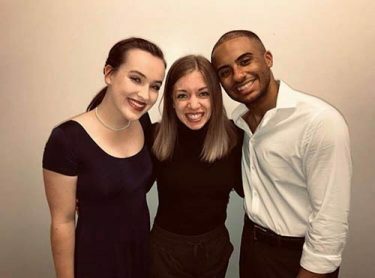 The duet by Hannah Croft (center) duet was one for two GCU pieces that were showcased at the ACDA. Madeline Bosse (left) and Isiah Johnson performed the choreography. During the weeks leading up to the conference, Isiah Johnson helped rehearse Knutson’s piece for the event since she was in California student teaching at the time. He also danced in GCU’s other formal entry — “Sans Toi,” choreographed by Hannah Croft. “I was very closely connected to both dances that were performing in the formal concert,” Johnson said. This was his second year at the conference, which meant a second chance to meet other dancers and create friendships. For the informal concert, students are given the opportunity to showcase their work and receive feedback from adjudicators. Guillermo Flores and Rylie Pryately’s piece, “It Slipped My Mind,” was showcased in the informal concert. Outside of the concerts and performances, the students experienced a range of dance forms and styles by taking three to four classes a day taught by instructors from the different universities participating in the conference. Johnson said it was his favorite part of the trip. “It’s just cool to get a different perspective from somebody else that you don’t normally take class from,” Johnson said. It was the seventh straight year the Dance Department has gone to the ACDA gala. Dances for the conference are selected through biannual student choreography adjudications run by Dance Department faculty panels. Students must attend Works-In-Progress Showing (WIPS) in order to be eligible for adjudication events. The department’s next concert, “Pop! Goes the Dance Department,” will features students performing faculty work. It is scheduled for April 12-14 at Ethington Theatre. For more information on the show, visit the Ethington Theatre event page.